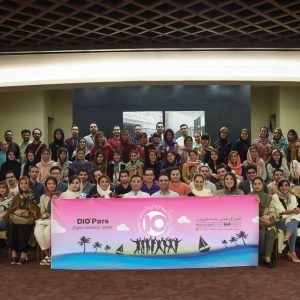 The 10th Diopars recreational, motivational and educational congress was held at Kish Island with participation of the managers as well as company’s staff from branches all over the state. 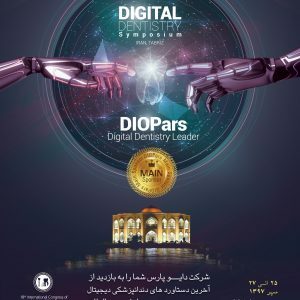 Based on Diopars’ newsman, Diopars has presented its latest achievements in digital dentistry at this congress, as well as holding two workshops in the field of digital dentistry.The Digital Implantology Workshop by Dionavi system (Full-Digital Implant) was held by Dr. Omid Moghaddas at the “18th International Congress of Iran’s Periodontology Association” on Thursday October 18th 2018, in Hafez Hall at Kaya Hotel from 11 to 13 o’clock, and it was welcomed warmly by dentists. 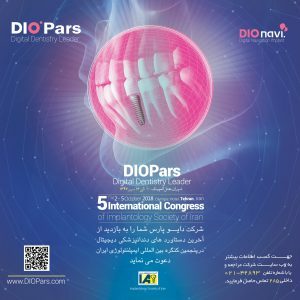 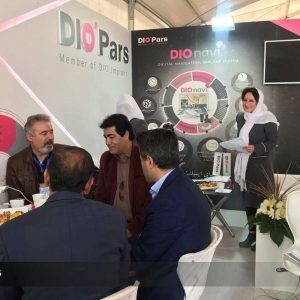 Diopars Co. takes part in “The 5th International Congress of Iranian association of Implantology” aiming to present its latest achievements in area of digital dental implant. 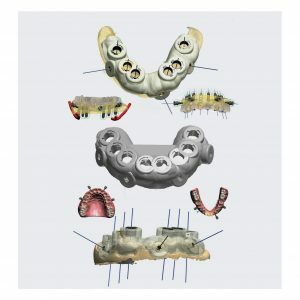 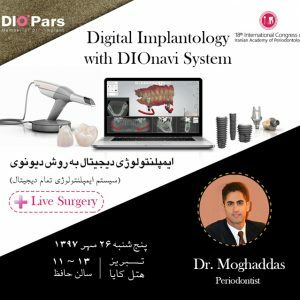 The workshop of Digital Implant ology with Dionavi system (Full Digital Navigation System) will be held by Dr.O.Moghaddas in “The 18th International Congress of Iran’s Association of Periodontology”. 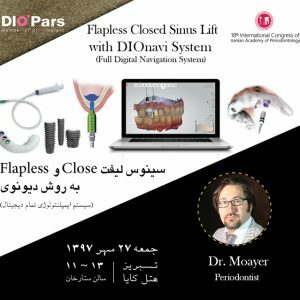 The workshop of “Close Sinus Lift with DIOnavi (Full Digital Navigation System) + Live Surgery” will be held in “The 18th International Congress of Iran’s Association of Periodontology”. 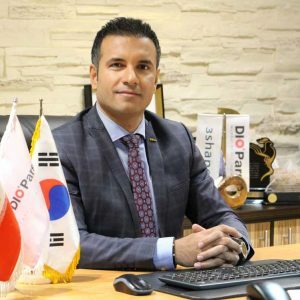 Dear Mr. Minaee, we appreciate you for the time you gave us and would like you, as the CEO of Iran’s the biggest dentistry company with more than 130 employees and 20 offices all over the state, to answer dentists’ questions and ambiguities caused by the present situations.